We at AltexSoft actively engage with various industry-related organizations, collaborate with other market leaders and thus foster general industry growth. Our team effectively networks with various members of the following associations. The Microsoft Partner Ecosystem, also known as the Microsoft Partner Network or MPN is Microsoft Inc.’s partner network designed for technology companies to build a business around Microsoft technologies. MS Pinpoint is an International Network for collaboration business customers with developers and technology service providers. A place for partnership development in the field of Mobile and Web applications development between customers and service providers. Established in 1999, the EBA provides a forum in which members can discuss and find solutions to common problems affecting business in Ukraine. The Outsourcing Institute (OI) is the world’s largest and most trafficked neutral professional association dedicated entirely to outsourcing. 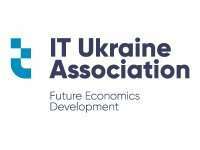 Ukrainian Hi-Tech Initiative is a leading Ukrainian association of IT outsourcing companies that aims to help Ukraine become one of the most acknowledged and attractive outsourcing destinations. Key goal of the cluster is to unite all the initiatives for transforming the city of Kharkiv into an attractive IT center and a world class IT destination.